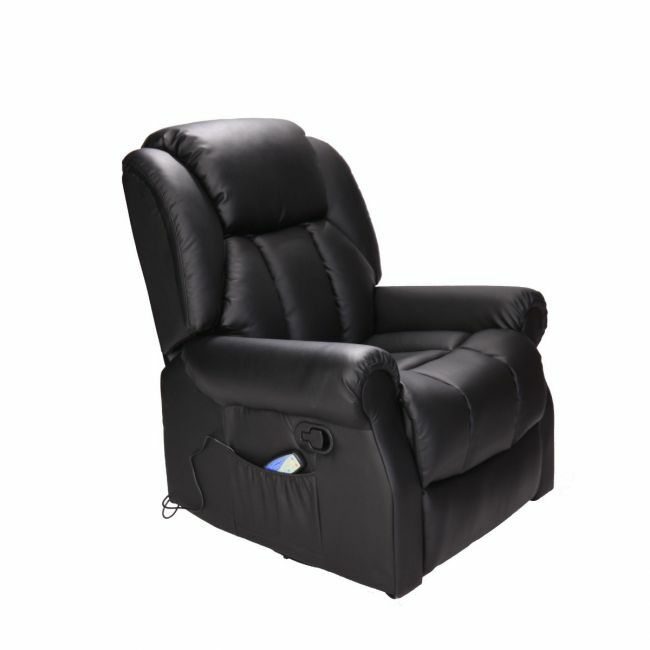 Recliner to a comfortable position on a chair that's easy to use. Hainworth swivel rocker recliner chair with heat and massage Available in Black or Brown bonded leather. With heat and massage included as standard. Simply pull the lever on the right hand side of the chair and the footrest pops up and the back rest is able to recline.